The Best Legal Writing blogs from thousands of top Legal blogs in our index using search and social metrics. Data will be refreshed once a week. Malibu, CA About Blog Law Professor Blogs, LLC is the nation's only network of legal blogs edited primarily by law professors, deans, and lawyers. Facebook fans n/a. Twitter followers 4,572. Facebook fans n/a. Twitter followers 2,342. Washington, DC About Blog Read the latest legal writing articles and posts on briefwriting, editing, judges, professional development, style, tone, and more from Ross Guberman. Atlanta, Georgia About Blog Lawyer, legal writing and animal law instructor, writer, believer in learning something new every day. I live in Atlanta. Gainesville, FL About Blog The University of Florida Levin College of Law is a law school dedicated to advancing human dignity, social welfare and justice through knowledge of law. As part of our continuing goals to provide students with a well-rounded legal education and advance legal scholarship, we’ve established this blog as a forum for diverse legal professionals to weigh in on the important issues of our era. Facebook fans 6,317. Twitter followers 4,507. California About Blog Lowering the Bar is written by Kevin Underhill. Lowering the Bar is a legal-humor website that provides and comments on weird news with some relationship to civil or criminal law. It also provides an archive of the many legal opinions, pleadings, and other legal documents that are funnier (intentionally or not) than they have any right to be. Facebook fans 1,605. Twitter followers 8,413. Dallas, Texas About Blog LawProse is America’s foremost provider of CLE training in legal writing, editing, and drafting. Since 1991 we have conducted public and in-house seminars for more than 120,000 lawyers and judges across the country and abroad — from London and Geneva to Osaka and Bangkok. Facebook fans 443. Twitter followers 23,093. Cleveland Ohio About Blog Cleveland-Marshall College of Law is the law school of Cleveland State University, located on Euclid Avenue in Cleveland, Ohio, United States. C|M|LAW Law delivers practical, high quality, high standards legal education for a diverse community, fueling one of the strongest legal markets in the nation. Facebook fans 1,741. Twitter followers 1,355. Brooklyn, NY About Blog Founded in 1901, Brooklyn Law School was the first law school on Long Island. Brooklyn Law School continues provide legal education to minorities, women, and immigrants. The goal of the blog is to write about legal news, new court decisions, current news, legal trends as well as news and information about BLS Law Library materials and events, legal writing and research, and online legal resources. Facebook fans 631. Twitter followers 5,558. Atlanta, Georgia About Blog A blog exploring effective listening practices for lawyers, law students, and all legal professionals. This blog will explore the theory and practice of effective listening, and how lawyers, law students, and just about everyone involved in the practice of law can benefit from working on their listening. Facebook fans 204. Twitter followers 2,136. Oklahoma City, OK About Blog Welcome! My name is Celia. I’m a Registered Paralegal, which means I have passed NFPA’s national Paralegal Advanced Competency Exam. I have been fortunate to have worked with and known some of the best and brightest attorneys, paralegals and legal support staff. About Blog The blog of the Great Library. The Great Library serves the legal information needs of Law Society of Ontario licensees and other legal researchers by facilitating access to an extensive collection of electronic and print resources, and by providing legal research assistance and instruction. 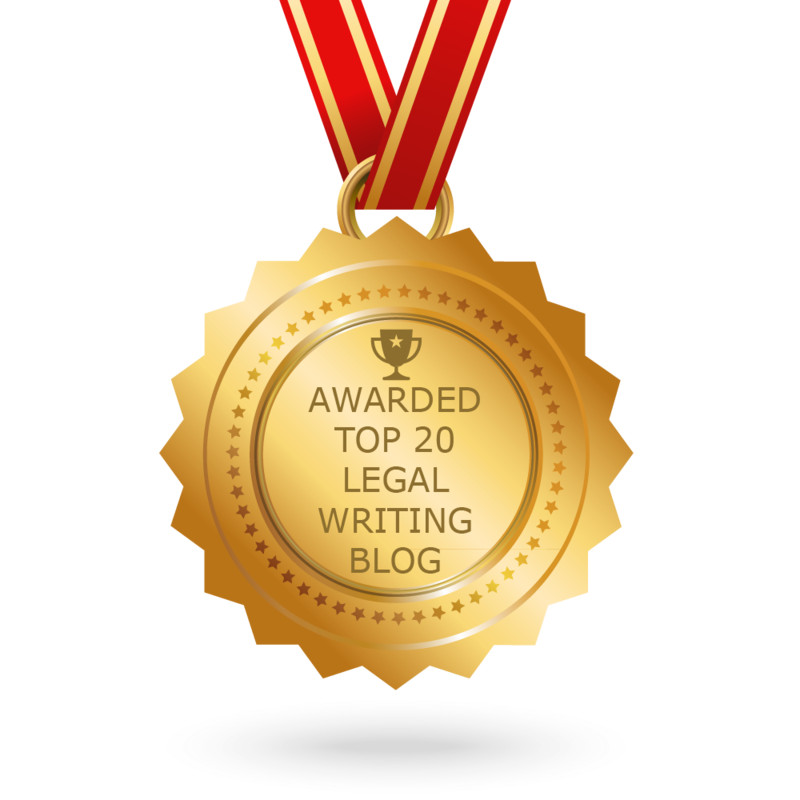 CONGRATULATIONS to every blogger that has made this Top Legal Writing Blogs list! This is the most comprehensive list of best Legal Writing blogs on the internet and I’m honoured to have you as part of this! I personally give you a high-five and want to thank you for your contribution to this world.